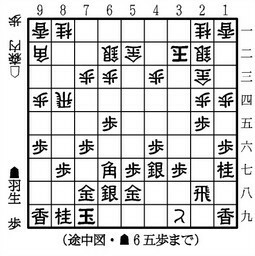 On June 16 and 17, the 6th game of 66th Meijin-sen 4-win match between Meijin Moriuchi and Challenger Habu took place at Tendo Hotel in Tendo City of Yamagata prefecture. 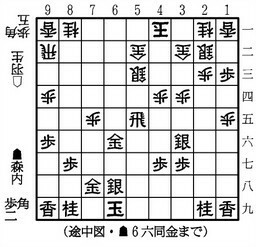 Habu was Sente player this game and he won it in 105 moves. 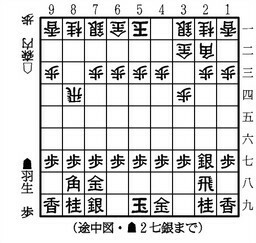 The opening strategy was ai-gakari again. They say Moriuchi led the position first in the middlegame with succeeding in making a promoted Pawn. But sacrificing it seemed a bad move. After that, Habu led the position to the end. Habu's got entitled to be the 19th permanent Meijin since he is to hold 5 terms of Meijin in total with this victory. Today is the 2nd day of the game. Habu is a Sente player. Before the supper time at 6:00 pm, they say Habu leads the position. Habu won the Meijin title again in 4-2. He's got entitled to be the 19th permanent Meijin with this victory. The sealed move was P*2c. The 6th game started at 9:00am today at Tendo Hotel in Tendo City, Yamagata prefecture. Habu is Sente player and his first move was P-2f advancing the Rook pawn instead of P-7f opening the diagonal line of Bishop. 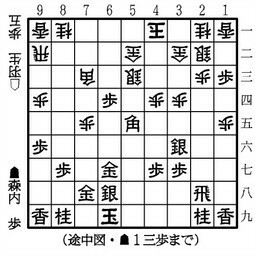 The 1st game of 79th Kisei-sen between Kisei Sato and Challenger Habu started this morning. As a result of Furigoma, Habu became Sente player. It's a 3-win match. 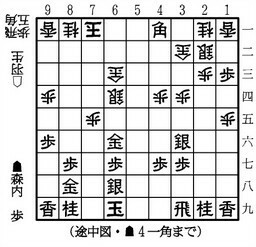 On June 5 and 6, the 5th game of 66th Meijin-sen 4-win match between Meijin Moriuchi and Challenger Habu took place at Yumura Tokiwa Hotel in Kofu City of Yamanashi prefecture. 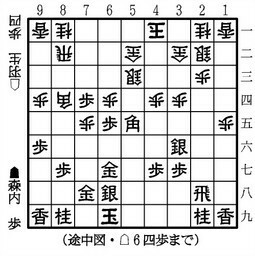 Moriuchi was Sente player this game and he won it in 109 moves. 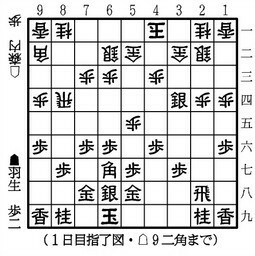 The opening strategy was ai-gakari. 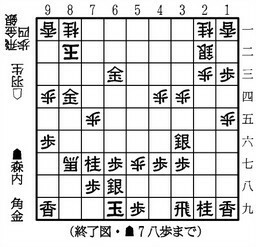 Moriuchi led the position in the opening and keep it to the end without making a wrong move I could recognize. Here is the link. Shibata Yokusaru is the writer of 81 diver. Watanabe is very fond of the manga. Yomiuri is the sponsor of Ryuo-sen. That's why this meeting is realized. Meijin Moriuchi is Sente player. 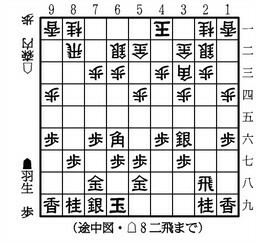 The opening strategy is Ai-gakari. This entry is to be updated from time to time today when new diagrams become availabe. Meijin Moriuchi won the game and the score is now in 3-2 led by Habu. The 6th game will be in place in Tendo City of Yamagata prefecture on June 16 & 17.